WASHINGTON — The Trump administration's strategy on the North American Free Trade Agreement has been turned on its head. When President Donald Trump forced renegotiations on the pact, the guiding narrative was that Mexico has a US$71 billion trade surplus with the United States and is luring manufacturers south of the border at the expense of American workers. But coming out of the Montreal round of talks — which observers and participants interpreted as a positive step toward an agreement — it's Canada that has emerged as the central focus of Washington's negotiating efforts, and frustrations. Indeed, in his closing statement in Montreal, U.S. Trade Representative Robert Lighthizer barely even mentioned Mexico. Instead, he sharply rebuked the northern neighbour on several matters and drew attention to an US$87 billion goods deficit with Canada in 2016, including energy. That conflicts with official figures on the USTR's website that show a merchandise trade deficit with Canada of US$12 billion and a goods and services trade surplus of US$12.5 billion in 2016. "Canada has become the focal point," said Eric Miller, a well-connected trade consultant and president of Rideau Potomac Strategy Group. "The perception within the USTR is that were it just Mexico, the pathway to a deal would be much easier because the U.S. could just streamroll the Mexicans," who face a presidential election this summer and have the most to lose if NAFTA unravels. While Trump once praised Canada as a good partner, Canada has frustrated U.S. trade negotiators for years, with tensions over softwood lumber imports, Canada's decision to join the Trans-Pacific Partnership agreement and its ability to be very strategic. U.S. negotiators are turning their ire to Canada, Miller said, because they see it as an impediment to a quick U.S.-friendly deal. "Canada's approach is to rigorously negotiate every detail, and the U.S. [view] is that the investment uncertainty combined with the looming political calendar will drive the Mexicans to drive a faster deal," Miller said. But the United States is overestimating Mexico's willingness to compromise, Miller said, because Mexico has its own red lines and is closely collaborating with Canada in the talks. The rising tension between Lighthizer and Canada's lead negotiator, Foreign Affairs Minister Chrystia Freeland, is palpable. In Montreal, Lighthizer accused Canada of mounting a "massive attack" on the United States by calling for the World Trade Organization to investigate whether the U.S. trade remedy system is inherently biased. The Trump administration was also embarrassed when the U.S. International Trade Commission voted 4-0 that Boeing was not harmed by Canadian government subsidies for Bombardier jets, erasing a Commerce Department ruling to slap a 300 per cent penalty on each plane purchased. Meanwhile, after ironing out a few issues, Canada is set next month to sign the Trans-Pacific Partnership agreement with 11 other countries — notably without the United States, which pulled out of the bloc days after Trump took office last year. 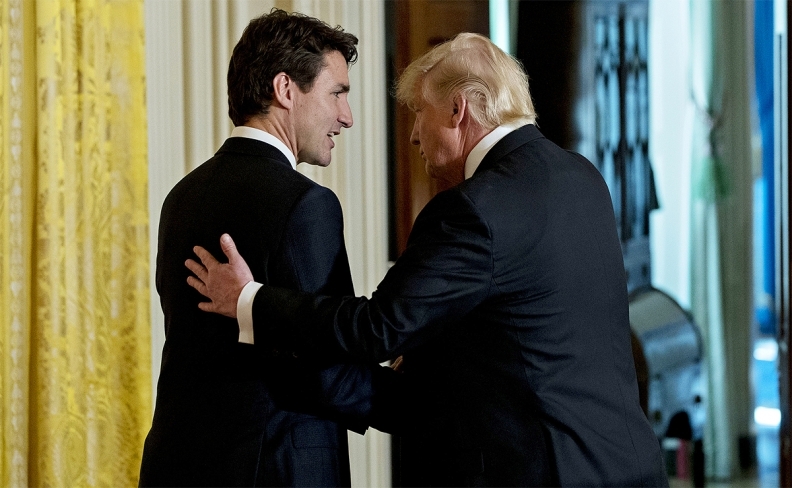 "I think Canada is trying to signal to U.S. administration that it's not going to bow to every single demand and that every side needs to make compromises," said Monica de Bolle, a senior fellow at the Washington-based Peterson Institute for International Economics. Despite Lighthizer's tough remarks, trade veterans said the talks were fruitful. "We are probably more optimistic at the completion of this round than we've been in any other round," Matt Blunt, president of the American Automotive Policy Council, told Automotive News. The main development, from an automotive perspective, was a Canadian proposal to adjust the methodology for calculating regional content to comply with rules of origin by including intangible value such as software, engineering and intellectual property. The United States is demanding an increase in the threshold to 85 per cent from 62.5 per cent, with a 50 per cent carve-out for U.S. parts and material. Lighthizer seemed to dismiss the Canadian idea, saying it may have the opposite effect and lead to less regional content and jobs than today. The Canadian proposal, by all accounts, was conceptual and lacked specificity, but it served the purpose of offering a response to the United States and trying to get agreement on the general principle of changing how origin rules are defined. Discussions now can focus on details such as what type of technology and r&d to include, how to measure it, and whether to calculate the value based on the transaction value or the net cost of a product. "The key priority for this round was for the countries to not go over the abyss," Miller said. "If I'm an auto company, I'm feeling good about living to fight another day. There is an opportunity now to rework the Canadian proposal. We were in a much more perilous spot going into Montreal than we are now. Criticizing the proposal is not the same as saying you don't have a serious proposal." Meanwhile, technical negotiations continue to move ahead. Negotiators in Montreal agreed on a chapter related to anti-corruption rules. That followed agreements in previous rounds on small and medium-size enterprises and competition. The fact that a seventh round of talks was scheduled for late February and that the normally dour Lighthizer said "some real headway" was made is further sign that the negotiations remain on track, experts say.